After a strong showing in all phases of his game in 2018, Ke'Bryan Hayes is ready for the next challenge. At least, the Pirates believe he is. The Bucs' second-ranked prospect will be joining the big club for Spring Training in Bradenton, Florida, as one of 13 non-roster invitees, the team announced Saturday. Eighth-ranked Bryan Reynolds, No. 11 Luis Escobar and No. 16 Will Craig are among the other Minor Leaguers heading south next month. Perhaps the most intriguing part of Hayes' rise through the Minors is that his numbers have improved each year and with each promotion. In 2018, MLB.com's No. 48 overall prospect posted a .293/.375/.444 slash line -- setting career highs in all three categories -- in 437 at-bats with Double-A Altoona. Hayes also established personal bests with seven homers and 47 RBIs. The campaign was enough to send the 2015 first-round pick to the Futures Game in July and earned him midseason and postseason Eastern League All-Star honors. The organization continues to think highly of Hayes -- the son of former Major Leaguer Charlie Hayes -- by naming him the its Minor League Player of the Year. "You look at just the power numbers starting to trend up. The quality at-bats start to trend up, and physically he's getting stronger and you're seeing the production continue to climb," Pirates director of player development Larry Broadway told MiLB.com last month. "He was a threat every time up and probably the most consistent at-bat that we had all year." In addition to his offensive production, the 21-year-old displays a plus glove at the hot corner and has captured back-to-back Gold Glove awards. Hayes committed only six errors and led all Minor League third basemen with a .978 fielding percentage last season. 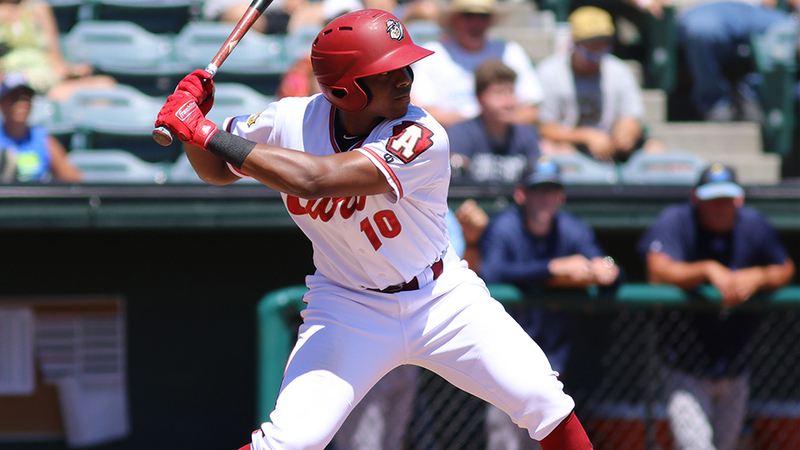 Craig and Escobar were Hayes' teammates with the Curve in 2018. Craig, a first baseman, clubbed 20 homers and drove in 102 runs with a .248/.321/.448 slash line. The 2016 first-round pick was named an Eastern League and MiLB.com Organization All-Star. Escobar posted a 3.98 ERA in 16 starts for Class A Advanced Bradenton before going 4-0 with a 4.54 ERA in seven starts for Altoona.